When you give to our scholarship program, you fund the education of veterinarians and veterinary students in developing nations with a per capita income of less than $8,000 USD. The Rosenburg Scholarship financially assists students with paying the cost of tuition, travel, accommodations and materials. With this scholarship, we hope to empower scholarship recipients to not only learn Traditional Chinese Veterinary Medicine but to share their knowledge through teaching veterinarians in their home country. With this movement of knowledge, one scholarship will teach many. The Rosenburg Scholarship was created in honor of Dr. Stuart Rosenburg, an exceptional veterinarian, leader and friend. 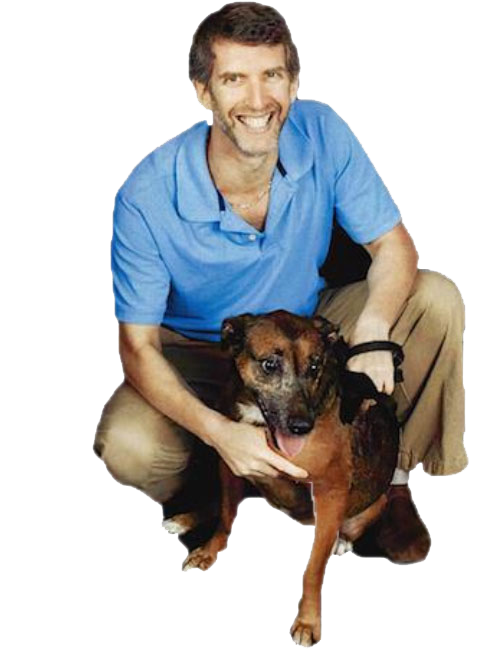 At the age of nine, Dr. Rosenburg knew he wanted to be a veterinarian. He graduated from Penn State University with a degree in Animal Bioscience and later graduated from the University of Tennessee as a Doctor of Veterinary Medicine. He was a zoo veterinarian at Silver Springs Attraction and the Lowry Park Zoo, and he was also the longtime owner of Bayshore Animal Clinic. 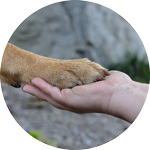 Dr. Rosenburg was a leader in the veterinary community. He taught hundreds of veterinarians at the Chi Institute and frequently published in both AAZV and AAVMA. He had a love for adventure, skydiving, foreign travel, scuba diving and college football. He was diagnosed with stage 4 lung cancer and was expected to have only a few months left to live. He fought the disease for two years before passing at age 46. Throughout his life, he advocated for and taught others about TCVM; this scholarship will continue the work that he began. He is survived by his loving wife Gayle and many friends who remember him fondly. Because of donors like you, Dr. Bhajan Das, the first recipient of the Rosenburg Scholarship, was able to further his education and enhance his career. Dr. Das is a teacher in the Department of Medicine and Surgery at the Chittagong Veterinary and Animal Sciences University in Bangladesh. Now that he has learned about acupuncture, he plans to teach others at his university. We spoke with him after he attended his first on-site class in Guangzhou, China in May 2015. “I am a teacher… so hopefully our patients and our students can benefit from my knowledge,” he explained. He plans to share what he has learned with his university and hopes to implement new programs and internships. “Without this scholarship, I could not think to attend the program,” he said. With your support, veterinarians like Dr. Das can further their education to help more animals and spread TCVM awareness. If you're interested in applying for the Rosenburg Scholarship, please download the application here. Scholarship applicants must have a veterinary degree from an institution listed on the AVMA list of veterinary colleges. Additionally, all applicants must reside in and be a citizen of a developing country with a per capita income of less than $8,000 USD per year.